This photo is a bit dated but still worth posting. 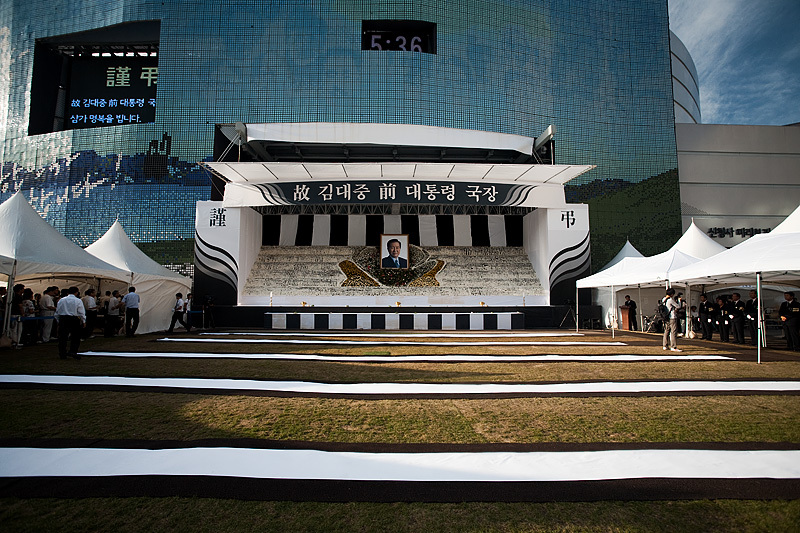 On August 18, Kim Dae Jung (김대중), a former Korean president and 2000 Nobel Peace Prize winner passed away. 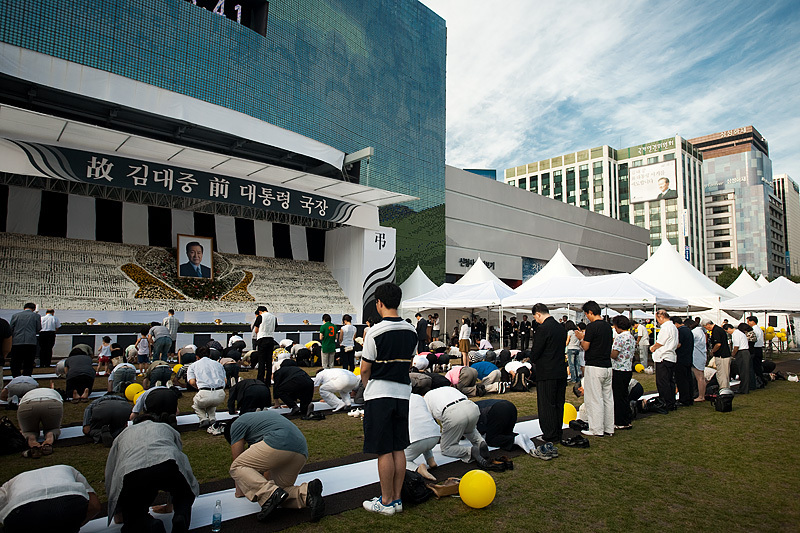 Memorials were held in quite a few places around Seoul but the one at city hall dwarfed all others in comparison. Waiting times were often as long as three hours as each group of well-wishers got a chance to pay their respects, a minute per group. The photo above shows the brief interval between a group's exit and a new group's entrance. It's difficult for me to convey or understand but judging by the country's reaction, this president's passing seemed to mean something more. I was told the previous May's presidential death was not nearly as mourned. Then again, unlike Roh Moo Hyun, Kim Dae Jung didn't commit suicide after accusations of corruption during his years in office. The Economist has an informative obituary for those that want to read more. Groups were hurried in and allotted a brief period of time to pay their respects. In case you were wondering why Seoul's city hall looks like the outside of a disco ball, it's apparently under renovation but the new snazzy disc plated exterior looks pretty dang nice to me. When the wind blows, the softball-sized discs undulate, creating ripples that propagate across the entire surface.